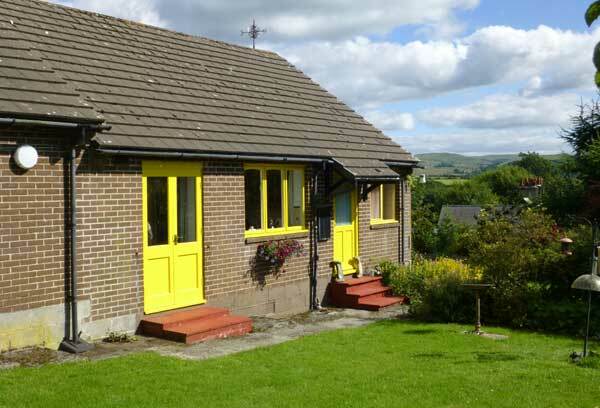 Maes Gylfinir is a modern self-catering bungalow that sleeps two. 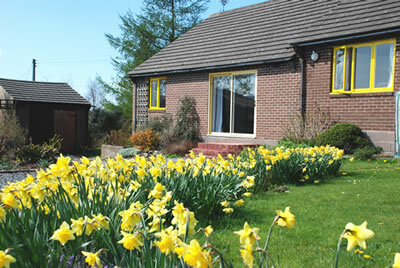 The bungalow is set in its own grounds, which are laid to lawns, flower beds and mature trees. Maes Gylfinir is ideally located for bird-watching, walking, cycling, and touring. 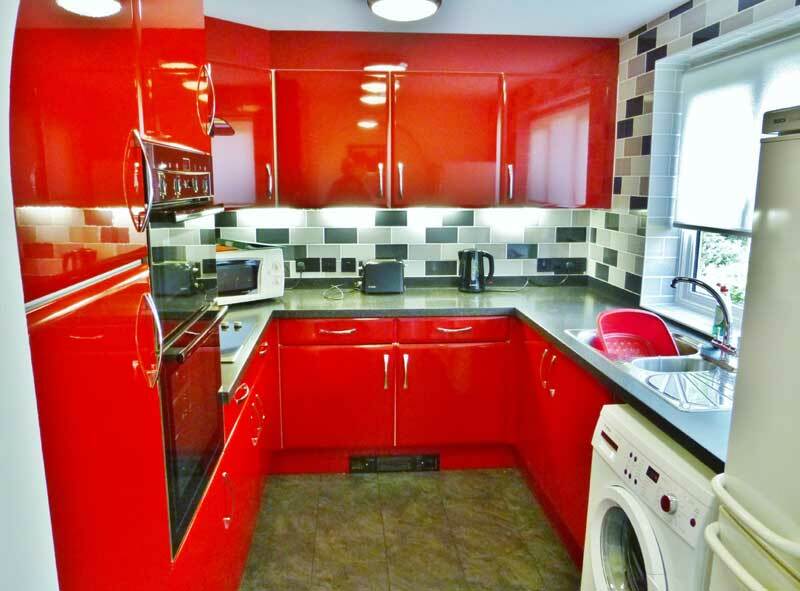 It is in the tiny village of Ystrad Meurig, 13 miles south-east of Aberystwyth, in the heart of Red Kite country. We welcome guests at any time from February to November. The weekly rate is £380.00. 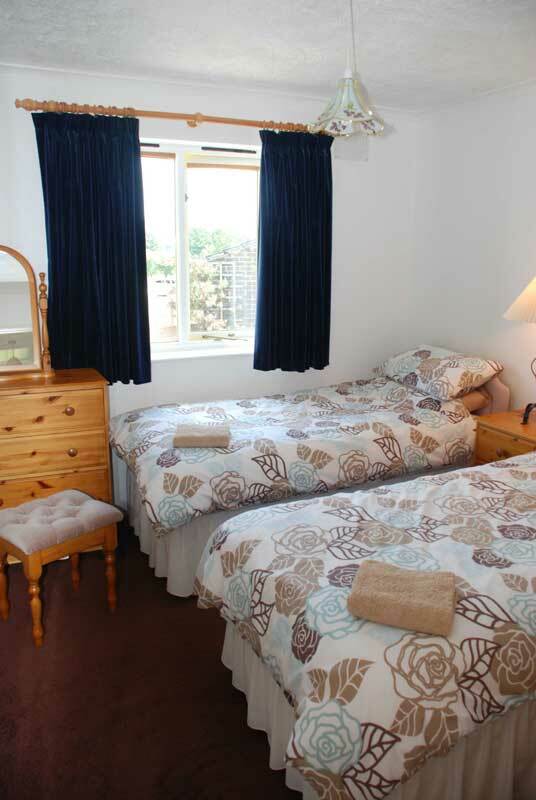 For shorter bookings, the cost is £60.00 per night with a minimum stay of 2 nights. This price is fully inclusive; there are no extra charges, such as electricity. 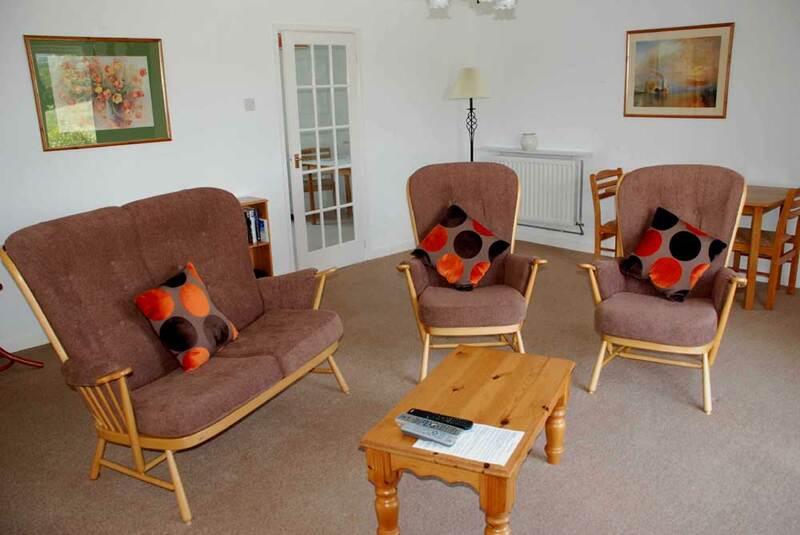 Maes Gylfinir is a modern, self-contained bungalow that is attached to our own bungalow home. 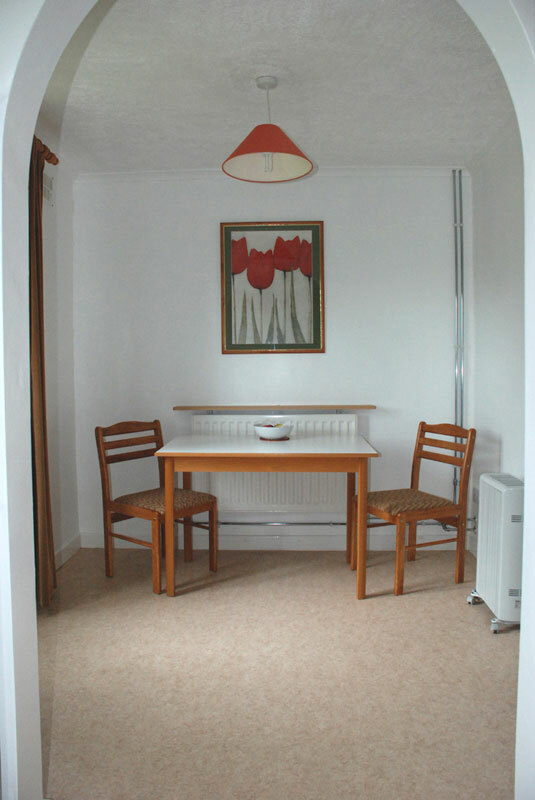 Your holiday bungalow has central heating with thermostatically-controlled radiators, which you can adjust to your own level of comfort. An electric immersion heater provides the hot water for the kitchen and the bathroom. 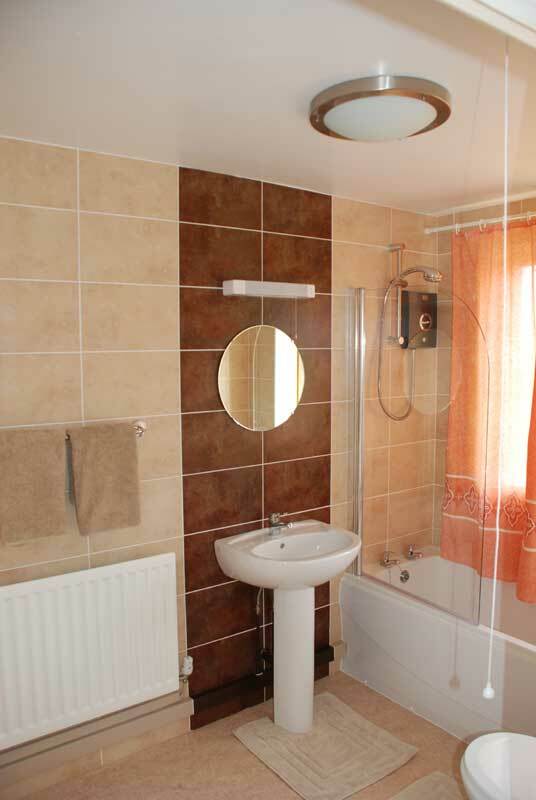 This newly-fitted bathroom has both a bath and an electric shower; the shower is independent of the hot water, so you can shower as often as you wish without depleting the hot water supply. The bedroom and the huge lounge have deep, fitted-carpets while the bathroom, hallway, kitchen and breakfast room have cushion vinyl flooring. 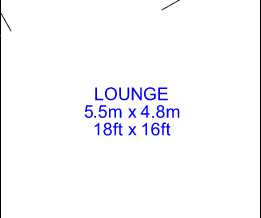 The lounge is provided with a television and a digital video recorder. The bedroom window and the lounge patio door face east across fields to the Cambrian Mountains, while the fully equipped kitchen and the breakfast room face west across the garden, which is always full of birds. Your hosts are Karen and Ian Poyser. For the comfort of our guests the entire property is designated as non-smoking. We cannot provide accommodation for children or pets. Maes Gylfinir is located in the tiny village of Ystrad Meurig, which is on the B4340 road, 13 miles south-east of Aberystwyth. Click here for map and directions. 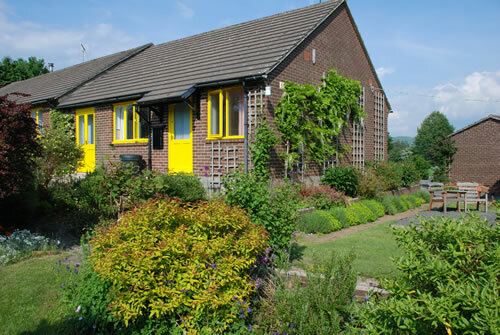 The bungalow has its own driveway, 130 yards long, and is set in a delightful garden for you to use and enjoy.The extensive garden is an ideal place to watch and photograph birds, or simply relax. The garden gate opens on to a private lane that runs down to the north end of the 2000 acre Cors Caron National Nature Reserve, just 200 yards away. There are splendid walks from the garden gate, and the wildlife of the area is magnificent - Maes Gylfinir is located in the heart of Red Kite country. Maes Gylfinir is surrounded by open fields and is two miles west of the Cambrian Mountains and within ten miles of the reservoirs of the magnificent Elan Valley. The RSPB reserve of Ynys Hir and the newly-opened Osprey reserve are within an hour’s drive to the north, while the RSPB reserve of Dinas, on the beautiful Llyn Brianne, is 12 miles to the south. Five miles north of Aberystwyth are the sandy beaches of Borth and the RSPB reserve of Ynyslas, on the Dovey Estuary. 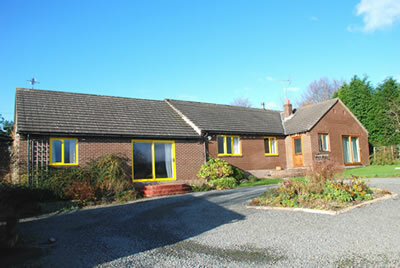 Your holiday bungalow in summer, showing the double door to the breakfast room and the front door. The gardens are extensive and available for you to use and enjoy. Maes Gylfinir in late November. Your holiday bungalow is to the left, Karen and Ian’s bungalow is to the right.